The Chicago Vin Coalition is a garage/blues rock band hailing from Boston, Massachusetts. It is centred around singer/songwriter Chicago Vin Earnshaw, backed up by a fine array of musicians including Don Larsen on lead guitar and Leo Dumas on drums. Their music is a potent meld of garage rock bands like The Stooges and MC5, the raw early sound of The Kinks and alternative blues artists like Tom Waits and Captain Beefheart. Amongst modern bands, they most closely resemble The Black Keys, who are also a stated influence. This album, American Dream, consists of nine tracks and gets off to an incendiary start with the title song. It sounds like a cross between The Kinks and The Stooges, with Chicago Vin Earnshaw’s authentic rock voice halfway between Iggy Pop and Captain Beefheart. The music has a fantastic energy, captured brilliantly by producer Annie Larsen. The song is about how the old dream of making it big in a band is dying: “Hey wake up! Get ready to move….American dream going down the tube…”. Hey Little Girl is built around a simple but highly effective three chord structure, and is perhaps the closest track to The Black Keys in terms of sound and style. As with the first track, the vocal hooks are instantly memorable, aided by biting, electrifying lead guitar from Dan Larsen. Chicago himself contributes guitar and bass, as well as rich Vox organ on a few tracks including these first two. Walk Away has a slighter mellower feel and a more gentle sound, with some fine keyboard work by Bill Lacaille. This is one song I would define as classic rock in the vein of the late Tom Petty, and it’s another track with a memorable chorus. No Use Fighting is a change of pace; gritty blues that brought to mind the more mainstream moments of Captain Beefheart (Don Van Vliet). A great showcase for Earnshaw’s unique, powerful voice with Don Larsen playing some gorgeous, mellifluous guitar runs over traditional twelve bar blues changes. Fifth track Silence Is Golden is another change of pace, a mid tempo country rock song based around strummed acoustic guitar which varies the sound nicely. The raucous, driving barroom boogie of the following Blonde Infatuation is another shift in gears, with some fabulous barrelhouse piano from Mark Taber plus wonderfully raucous tenor sax, courtesy of Klem Klimmer. A very enjoyable track with excellent dynamics and vibe. Ride Past Midnight is the epic of the album at nearly eight minutes long. It’s a raw blues song with a loping beat that recalls the Stones classic Midnight Rambler. The momentum of the musical energy and Chicago’s rootsy blues vocals carry the song so well that you almost don’t even notice the length, especially with the stellar lead guitar work of Don Larsen once again, and some fine blues harmonica from Chris Stovall Brown. Yesterday’s Gone is one of the more melancholic songs on the album, which runs the gamut of emotion over its course. It’s a good example of the craftsmanship at the heart of Earnshaw’s songwriting, this one having a lilting feel that brought to mind 1970’s era Neil Young & Crazy Horse. The way the instruments blend together, especially piano and guitar, shows what a tight musical unit this coalition are. The final track Life Line ends the album on a real high musically, though lyrically its heartfelt and shot through with desperation, as the title hook captures perfectly: “Somebody throw me a life line….”. It’s a superb rock song that the Stones would have been proud to put on Exile On Main Street, with its Jagger-esque vocal melody and razor sharp Keith Richards-style lead guitar. Overall, this is a much needed reminder that great rock ‘n roll is still being made by authentic artists. Chicago Vin Earnshaw is a very fine songwriter, blessed with a great voice for blues and rock that can stand up against the best in the field. The album’s consistency and variety shows his musical range, and his collective of gifted friends more than ably assist him, they bring his artistic vision to life. If you love The Black Keys, I implore you to give a listen to The Chicago Vin Coalition. The Black Tones are a three-piece blues/punk band hailing from Seattle, Washington. They consist of siblings Eva (vocals/guitars) and Cedric Walker (drums), and Robbie Little on bass. They describe themselves as ‘a mixture of Kurt Cobain and cornbread’, and there is certainly something of Cobain’s punk rock spirit in the music of The Black Tones. Previous releases include Arrows and Stones, Woman In Black and Too Many Times. This single, The Key of Black (They Want us Dead), is their first release for a while, but for their fans it will have been worth the wait. It’s an epic six-minute piece of blues/punk that marches to its own drum. Whereas many artists contrive their music to reach the chorus in thirty seconds, The Black Tones simply let their music breathe. Starting with drums and a killer low end guitar riff, it develops into a focused jam-style groove for the first few minutes. Eva Walker plays some nice wah-drenched lead guitar with Robert Little keeping it tight on bass, in sync with Cedric Walker’s solid-as-a-rock drumming. It builds to a call and response section with Eva’s message of racial prejudice echoed with a chant: “We want love, they want us dead…..we want peace, they want us dead…“. For a relatively short vocal section, it certainly packs a lyrical punch. Overall, this is an interesting and unique combination of musical style and lyrical content. While they cite Kurt Cobain as an influence, I see them more as a modern equivalent of Gil Scott Heron or a blues/punk version of Kendrick Lamar, who both blend a positive message with strong awareness of racial issues in the world. The Black Tones’ music and message seems more relevant than ever, so long may they reign. Norine Braun is a singer/songwriter hailing from Vancouver who is already very established and has won several awards in a long and successful career. Her music is an eclectic blend of blues, rock, soul and jazz which she has performed worldwide at festivals and elsewhere to both critical and public acclaim. With a lengthy back catalogue behind her she is now releasing her eleventh album Kind of Blues, with No More Reprise as the lead-off track. The song grabs the listener’s attention from the very start with a warm, rootsy sound based around a funky drum groove, catchy bassline, slick wah-wah drenched guitar and wailing, bluesy harmonica. Norine soon enters the fray with a distinctive and authentic vocal style, mildly reminiscent of Arethra Franklin albeit with a lighter tone. The lyrics depict a relationship that has hit the rocks owing to her partner being a good-for-nothing, the protagonist having reached her wit’s end with them: “No more sleeping in this bed, no more tears about you shed…”. The acerbic lyrical style fits perfectly with the strident mood of the music, which follows the traditional pattern of twelve bar blues. There is no obvious chorus as you’d find in standard pop, but the song is so catchy throughout that you soon find yourself singing along. After the second verse, there is a concise, effective guitar solo performed with a Hendrix-esque tone and some nice harmonica licks in the last verse to keep the listener gripped to the end. Overall, this is a fresh, funky and highly enjoyable piece of modern blues written and performed by a versatile and mercurial talent. For those who appreciate music with heart and soul and who are looking for undiscovered gems outside the banal mainstream, look no further than the music of Norine Braun. 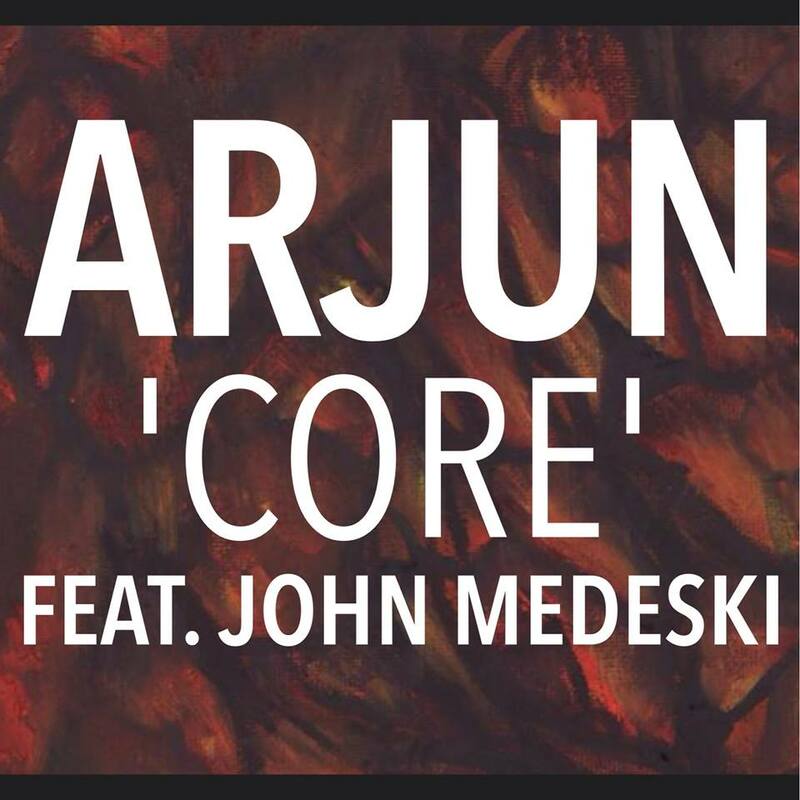 Arjun are an instrumental three-piece hailing from New York. Their music is a hybrid of rock and improvisational jazz, the trio consisting of Eddie Arjun Peters on guitar (who also produced this single at Level 11 studios in NYC), Lamar Myers on drums and Andre Lyles on bass. It also features the renowned organist John Medeski (best known for Medeski Martin and Wood) and was mixed by the legendary Scotty Hard (Bjork, Crash Test Dummies). This single, Core, is the title track from their third album and is six minutes of classily constructed and exquisitely performed blues. Eddie Arjun Peters has the lead melodic role as the guitarist and has a creamy, mellifluous tone to his playing that you associate with the greats. Every phrase is carefully nuanced so that the melodic arc ebbs and flows over the course of the track and every member is playing for the music rather indulging their proficiency or prowess. The overall vibe has the smoky, late-night feel of the instrumental sections of Hendrix’s Electric Ladyland. After two minutes of slowly building guitar phrases, the guitar melody begins to soar upwards leading to a section where Medeski’s organ playing is given centre stage. The tone is warm and rich, to my ear sounding like a Hammond B3 going through a Leslie speaker, a classic organ sound perfectly captured here. Lamar Myers’ drumming and Andre Lyles’ bass playing both give restrained, considered performances and serve the music well, all combining symbiotically to produce a truly epic sound. Overall, this is a very accomplished piece of modern blues rock, faultlessly played, recorded, mixed and produced. It is refreshing and edifying to hear that this kind of music is still being made in an era of dwindling sales and closing music studios, but there will always be a demand for quality among true music aficionados and I look forward to hearing the rest of the album.